Here I am, only connecting again. Almost every day I get a spam message from a certain person who thinks he can determine the Hubble constant from first principles using biblical references. The preceding link takes you to an ebook. I was thinking of buying it, but at 99c* I considered it prohibitively expensive. *I am informed that it has now gone up to £1.30. My correspondent also alleges that in writing this blog I am doing the Devil’s work. That may be the case, of course, but I can’t help thinking that there must be more effective ways for him to get his work done. Either that or he’s remarkably unambitious. Using the information provided in Isaiah Chapter 40 verse 22, show that the value of the Hubble constant is precisely 70.98047 km s-1 Mpc-1. 40.22. It is he that sitteth upon the circle of the earth, and the inhabitants thereof are as grasshoppers; that stretcheth out the heavens as a curtain, and spreadeth them out as a tent to dwell in. By the way, please note that the inverse of the Hubble constant has dimensions of time, not distance. Answers into my spam folder please (via the comments box). While I am on the subject of Hubble, I will mention the news that the Hubble Space Telescope is having a few technical problems as a result of a failure of one of its gyros. In fact a few days ago it went into `safe mode’ to help engineers diagnose and fix the problem, during which time no observations are being taken. I’m told by people who know about such things that the spacecraft can actually operate on only one gyro if necessary, using information from other systems for attitude control, so this problem is not going to be terminal, but it will slow down the pointing quite a bit thus make it less efficient. With a bit of luck HST will be back in operation soon. I was too busy yesterday to write a post about the latest hot news from the NASA Hubble Space Telescope, so here’s a quick catch-up. It seems that Europa, the smallest of the four Galilean moons of Jupiter, may from time to time be releasing “plumes” of water vapour. It has long been speculated that there might be large quantities of liquid water under Europa’s extremely smooth icy crust. 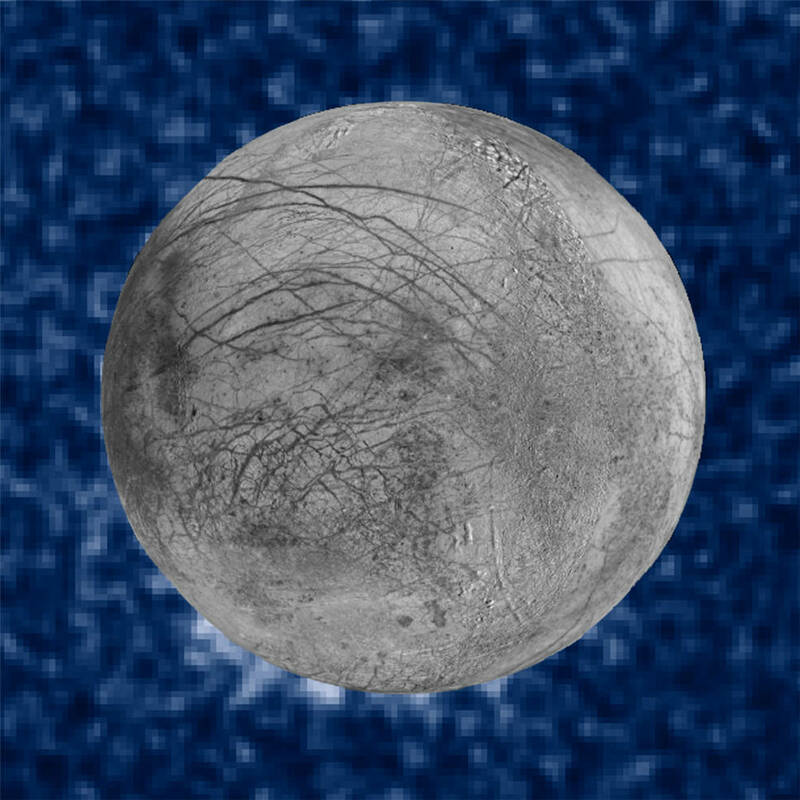 Here’s a picture of possible plumes (to the bottom left of the image) in which a high-resolution picture of the surface of Europa has been superimposed. There’s also short video explaining the possible discovery here. It’s not obvious at first sight that features like that shown above are caused by water erupting through Europa’s surface. On the face of it they could, for example, be caused by the impact of a smaller body. However, long-term observations of this phenomenon suggest out-gassing is much more likely. The Hubble Space Telescope’s Imaging Spectrograph was used to study what are essentially Aurorae powered by Jupiter’s strong magnetic field in which the presence of excited states of hydrogen and oxygen provide evidence for the disintegration of water molecules through interaction with electrons in this highly energetic environment. The images were taken when Europa was in front of Jupiter so they are seen were seen in silhouette. There is also evidence that these appearance of these plumes is periodic, and that they are more likely to occur when Europa is further from Jupiter than when it is closer. A plausible theory is that water is released from cracks in Europa’s surface which open and close owing to a combination of tidal gravitational and magnetic effects. Verification of these results through independent means is clearly an important priority, though likely to prove challenging. The plume interpretation is possible, but whether it is yet probable I couldn’t say! 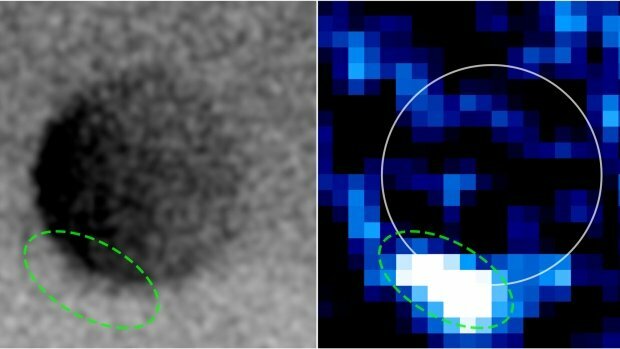 A Galaxy at Redshift 11.1? Back in the office after one Friday off and there’s the inevitable queue at my door and mountain of things that just have to be done immediately. Yeah, right.. Anyway, I couldn’t resit a short blogging break to mention a bit of news that made a splash last week. This is the claim that a galaxy has been observed at a redshift z=11.1 which, if true, would make it the most distant such object ever observed. When I was a lad, z=0.5 was considered high redshift! If the current standard cosmological model is correct then the lookback time to this redshift is about 13.4 billion years, which means that the galaxy we are seeing formed just 400 million years after the Big Bang. If it is correctly identified then it has to be an object which is forming stars at a prodigious rate. You can find more details in the discovery paper (by Oesch et al.) here. The claim is that the model spectrum on the top right is a much better fit to the data obtained using the Hubble Space Telescope Grism spectrograph than the two alternatives at much lower redshift. However, this depends a great deal on having a good model for the significant contamination from other sources. Moreover I’m sure the residuals are non-Gaussian and I’m not therefore convinced that a simple χ2 is the best way to assess the fit. Obviously I’d like to see a proper Bayesian model comparison! So, as I have been on previous occasions (e.g. here), I remain not entirely convinced. But then I’m a theorist who is always excessively suspicious of data. Any experts out there want to tell me I’m wrong? Preoccupied with getting ready for my talk in Bath I forgot t post an item pointing out that yesterday was the 25th anniversary of the launch of the Hubble Space Telescope. Can it really be so long? 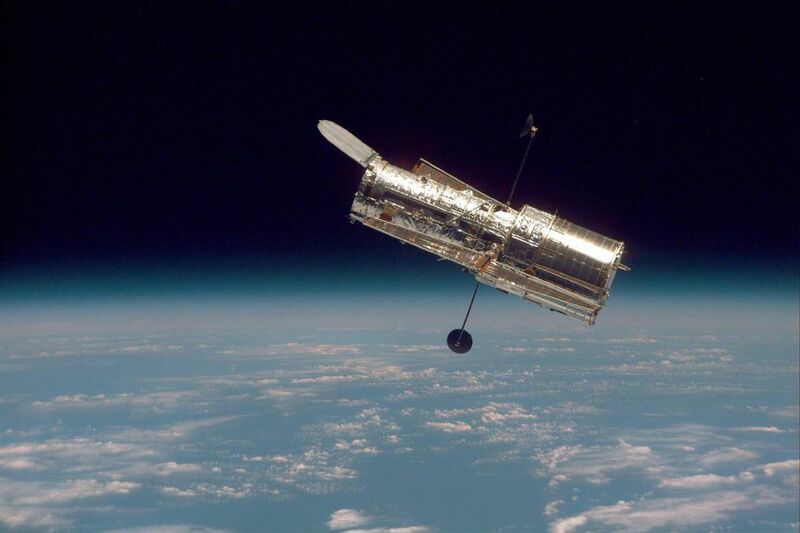 Anyway, many happy returns to Hubble. I did manage to preempt the celebrations however by choosing the above picture of the Hubble Ultra Deep Field as the background fo the poster advertising the talk. Anyway it went reasonably well. There was a full house and questions went on quite a while. 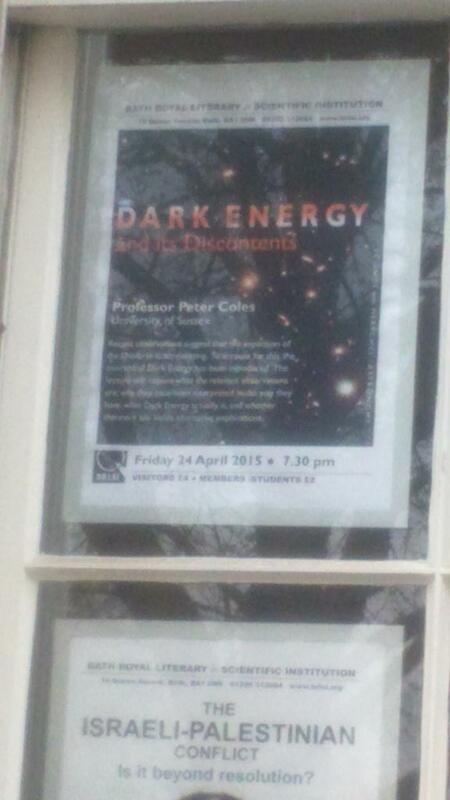 Thanks to Bath Royal Literary and Scientific Institution for the invitation! 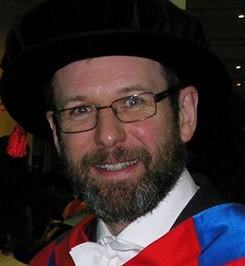 This afternoon I gave three hours of lectures on the trot, so I’m now feeling more than a little knackered. Before I head home for an early night, though, I thought I’d share this amazing video produced by the Panchromatic Hubble Andromeda Survey (or PHAT, for short), which is a Hubble Space Telescope (HST) Multi-cycle program to map roughly a third of the star-forming disk of the Andromeda Nebula (M31), using 6 filters covering from the ultraviolet through the near infrared. With HST’s resolution and sensitivity, the disk of M31 is resolved into more than 100 million stars. The combination of scale and detail is simply jaw-dropping. Hat’s off to the PHAT team! In an attempt to get away from the horrors of the last few days I thought I’d offer this video I just found on Youtube. It features majestic, life-affirming music from the 2nd Movement of Beethoven’s Symphony No. 7 in A Major along with some wonderful astronomical images from the Hubble Space Telescope. Science and art for all humanity. How pathetic our petty squabbles appear when we think about the Universe or listen to great music.